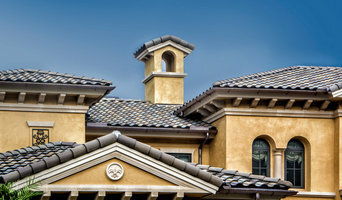 Premier Custom Homes, a 2015 Grand Aurora Award winner, has earned a reputation for quality, reliability, and attention to detail in custom residential building. We are committed to the complete satisfaction of our clients offering outstanding personalized service. Our goal is to make the construction process enjoyable while delivering a home that is tailored to the homeowner's lifestyle. Working with our clients through each step of the design and building process to create a home they will enjoy for many years to come. Each client becomes a partner in developing and perfecting their project from concept through completion. Through careful listening, in-depth research, exploration of options and the use of the most up to date technology, we are able to implement our clients' ideas and ideals by turning their dreams into reality. The relationship with our clients extends long past the completion of their homes. After completing a home, we make living and maintaining the new home a carefree experience. 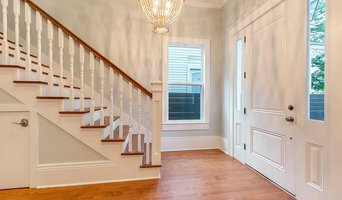 St. Tammany Parish Top Notch Renovation Services | 5x Best of Houzz! We specialize in residential and commercial new design, construction and remodeling. FINANCING AVAILABLE UP TO $45,000, SAME AS CASH, UP TO 12 MONTHS FOR QUALIFIED BUYERS, terms and conditions apply. Castillo Builders is a Licensed & Insured full-service general contracting company proudly celebrating 18 years of commitment, excellence, quality and value. We are professional builders offering you a full line of services. Our team of professionals has delivered quality craftsmanship and professional construction management services to thousands of public and private clients for commercial and residential projects involving comprehensive renovations, new construction, and restoration. We are fully experienced in residential, commercial, and retail construction. Our mission is to deliver every project on time and within your budget. Since 1973 we have set the standard for quality, integrity, and innovation in both residential and commercial construction. Our mission is to establish lasting relationships with our customers. We offer a wide range and scope of Construction, Maintenance, Repairs, Management, Consulting, and planning services that can be customized to meet your projects needs and requirements. Our team works directly with you and or your team to come to the best solution for your home, business, or property needs. iBuild is dedicated to build homes and remodels in general. We are focused in quality, superior craftsmanship and innovation. Our goal is to build/remodel authentic, charming homes and our singular focus allows us to deliver innovating designs. We have completed projects in St. Bernard, Gentilly, Slidell, Metairie, Mid-City and its surroundings. Now in its 15th year of operation Quality Home Repair of LA has meticulously completed 300+ remodeling and new construction projects of varying size and scope. In essence, we are “house therapists” with very high standard of integrity and workmanship, and are committed to improving your quality of life and the investment in your home. We believe in doing it right the first time at a reasonable cost. Simply put, we want to be better friends when the project is completed than when we first met. We’ll assist you from the very beginning with design, budget and fixture selection, and will provide a very detailed Scope of Work to minimize change orders and “unforeseen” challenges. High Tide Builders is a custom single family homebuilder located on the coast of Mississippi. We can help help you fulfill your dream of building a house that reflects you, from concept to creation. High Tide Builders takes pride in communicating and working one on one with clients to achieve a house that reflects themselves, along with their lifestyle. We use the latest in technology and methods to make your building experience the first lasting memories surrounding your home. No project is to big for High Tide Builders. Send us a message or give us a call to get your project started. 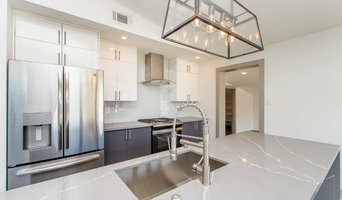 Full service Residential & Light Commercial General Contractor offering diversified services with unvarying quality to the greater New Orleans area. National Association of the Remodeling Industry Certified Remodeler. Member of the Greater New Orleans Home Builders Association. Since 1973 Don-Son Construction Company has set the standard for quality, integrity, and innovation in both residential and commercial construction. We provide comprehensive construction related services including new construction, renovation, and restoration. Don-Son is a family owned company that maintains the highest level of professionalism, integrity, honesty, and fairness in our relationships with our customers, suppliers, subcontractors, and professional associates. In addition to general contracting Don-Son provides a wide range of construction and preconstruction services including infrastructure development, building design, value engineering, plan design, permitting and approvals. We also offer design-build project services that have many benefits to the owner including reduced construction cost. Our mission is to establish lasting relationships with our customers by exceeding their expectations and gaining their trust through exceptional performance by every member of our team. Don-Son will effectively manage all aspects of your project from start to finish to ensure that your project will be delivered within budget and on time. Building: Our construction expertise can help you with everything from building a deck,to remodeling your dream kitchen or bathroom, to streamlining an addition or complete renovation. We also specialize in doing repairs before a house is listed on the market, from major structural repairs, to changing out windows, or even touching up a poor paint job. Our team specializes in carpentry work which includes everything from framing to crown molding to exterior siding. Design: Our design experience helps you plan your project from start to finish. Whether a new build, remodel, addition or renovation, we can make it straightforward for you to see your idea become a reality. Using the most cutting edge software tools, our design team can give you an unparalleled vision of your idea before construction begins. Consultation: If you are considering tackling a project yourself, but just need some guidance in the right direction, you can avail of our expertise and do most of the work yourself. We offer hourly consultation to give you advice on various aspects of construction, from building a deck for your yard, to ensuring you hire and negotiate the right tradesmen for the job. We work only with reliable and reputable subcontractors who are licensed and fully insured. Whether it is plumbing, electrical, air conditioning, masonry, plastering, painting, counter tops, tile, glass installation, audio/visual needs, or closet fitting, we guarantee we will get you the right people to realize your vision. We are also available to help you with scheduling, estimates, and permits. P. LeBlanc Construction is owned & operated by Phillip LeBlanc. We specialize in all aspects of Residential Remodeling . We are a company built on customer referrals. We prefer to only take on 1 project at a time, which allows us to complete each project at a superior quality in a timely manner, without disappearing for days or weeks at a time. With the contractor physically present at each job site, any issues that arise are addressed immediately, making sure every detail is executed as planned. We have become successful due to the integrity of our staff and subcontractors, our commitment to a solid work ethic, and our passion for staying current with the newest innovations in our industry. Forshag Construction is a residential construction company based in New Orleans, Louisiana with an old fashioned commitment to quality and dedication to service. The company’s expertise includes custom homes, model homes, multi-family dwellings; as well as, remodeling, renovations and consulting. Our goal is to not only meet, but consistently exceed, every customer’s expectations in providing a home that will last for decades. The foundation of Forshag Construction comes from the knowledge and wisdom passed down through three generations of builders, the first of whom was John L. Crosby, who started building in New Orleans in 1954. Casey Forshag, owner of Forshag Construction, is a New Orleans native who grew up on construction sites and has always shown a strong passion for building. He is a graduate of Jesuit High School and Louisiana State University with a Bachelor of Science in Construction Management. Casey is licensed in Louisiana as a Residential Contractor, Real Estate Sales Agent, and Defective Drywall Consultant. Casey Forshag has built homes throughout Southern Louisiana including The Sanctuary Subdivision in Mandeville. He has experience working in residential projects ranging from multi-million dollar homes to minor renovations. Casey is an honest, hardworking man who will ensure that you have a great experience on your next construction project. 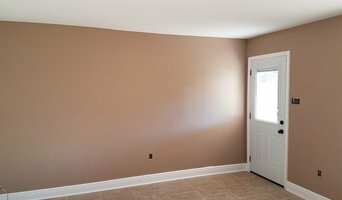 If you are looking for quality work done in a professional and timely manner, Forshag Construction is the answer. Our service to you will be available well after your project is completed, and we look forward to helping you with your maintenance needs as the years pass. Let Forshag Construction help build your family’s future. Decro Development was founded in 2006 to provide the New Orleans area with a quality, cost efficient, and timely builder to help people achieve their dreams of home ownership. From the small renovation to ground up construction, Decro Development takes pride in assisting people with their project needs. Over the last few years we have successfully completed over 100 projects ranging in size from 1000sq. ft to 6000 sq. ft. Our company has grown in size to where it is today as a result of our "On Time-On Budget" philosophy. Our Growth is also largely a result of customer referrals rather than advertising. Decro Development is a preferred contractor as well for non profit organizations such as "Beacon of Hope" and "Youth Rebuilding New Orleans". We see this as the best barometer of our success to living our philosophy day in and day out. Our experience allows us take the necessary strides to bring "Green Building" to all of our projects. We are concious of new building techniques and we incorporate all the "Green" expectations of today's savvy homeowner while still maintaining an affordable market price. Our commitment to building a sustainable future is evidenced by our certification as a NAHB Certified Green Professional as well as our Louisiana State Licensing Board certification for photovoltaic (solar) system installations. Contact us today and we will be glad to partner with you on building your dream home. John's Contractor Service, a full service contracting company, has been around since 2006. We are a licensed and insured builder for the state of Louisiana. Our mission is to provide effective, efficient and reliable service. We are locally owned, operated, and fully committed to servicing our customers with quality workmanship and unwavering ethics. As the owner of John's Contractor Service, I, John Stevens, ensure all work to be done at its highest quality standards and done in a timely and professional manner.